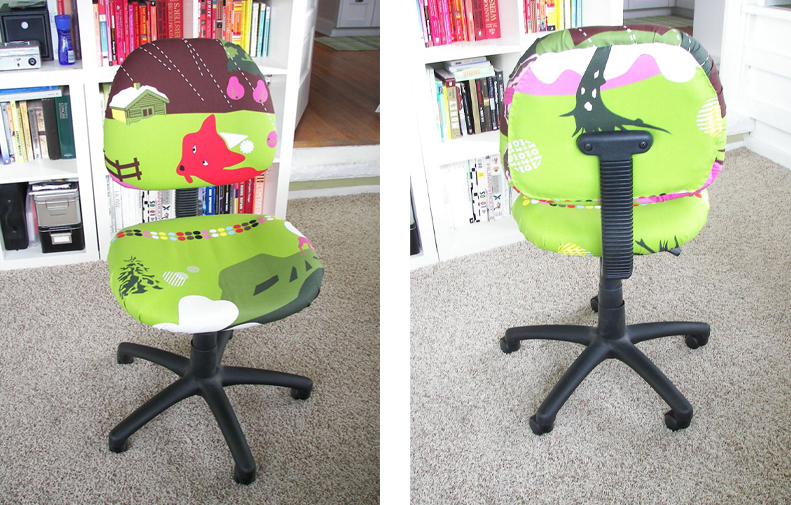 I’ve been wanting to recover my tired, sad looking office chair for a looong time and finally found the time to do it! Below are the steps I followed if you’re interested. Anyways, I’m pretty excited about! This project was actually pretty fun and didn’t take too much time at all! 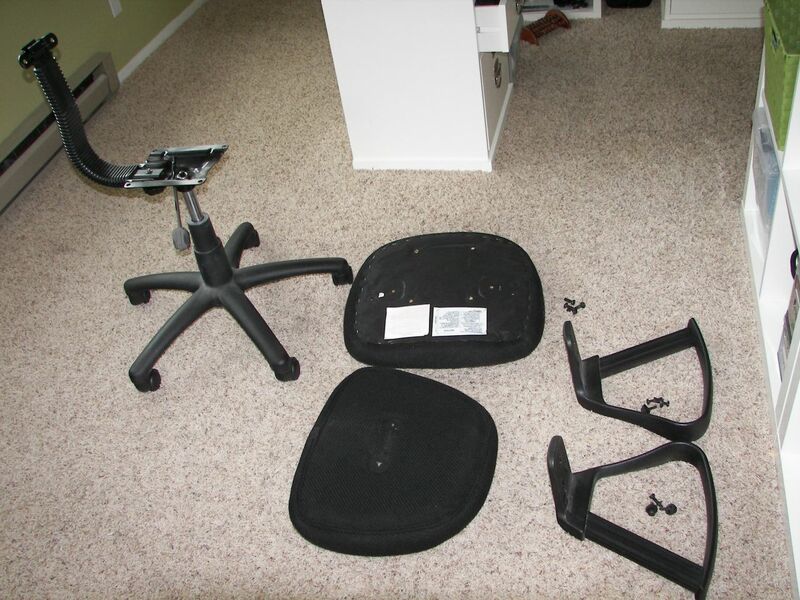 First things first- take the chair apart! (be sure to keep the hardware with corresponding parts). 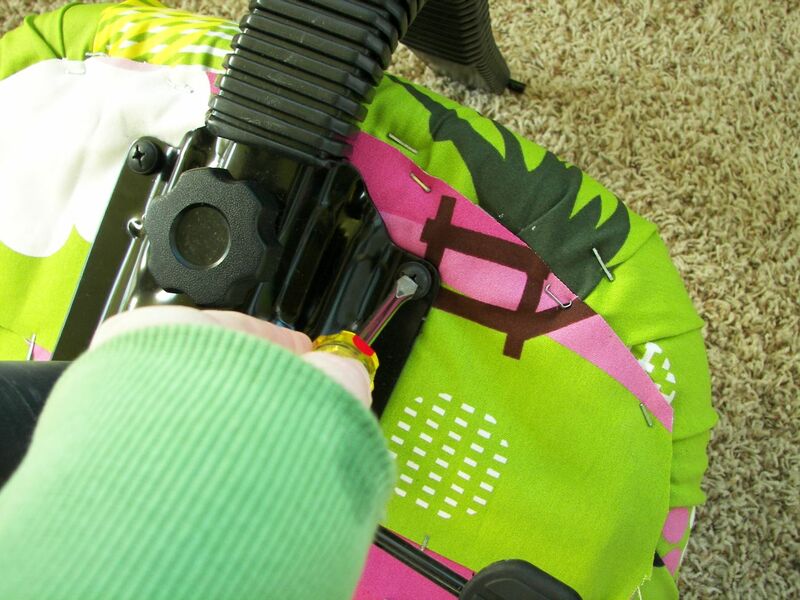 Next- take a flat head sqrewdriver to losen the fabric on the back of each cushion. Once it’s loose enough- you should be able to pull the rest off by hand. 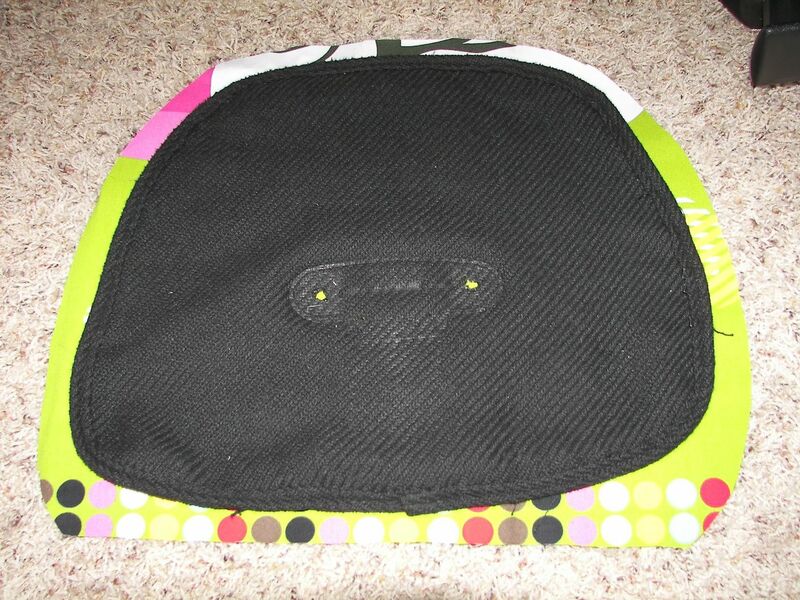 (Keep the backing from the back cushion since you’ll need it later). 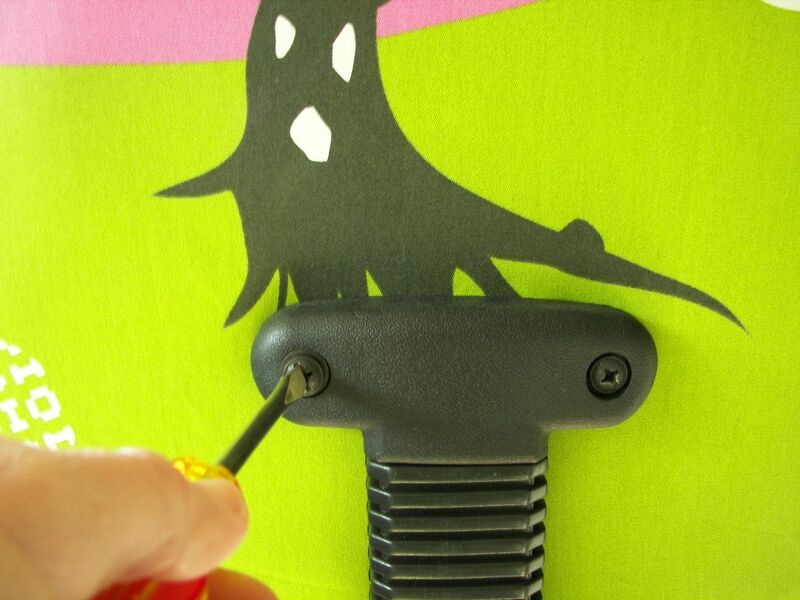 Use the needle nosed pliers to remove any extra staples. Next position the fabric over the cushions so you know where to cut. 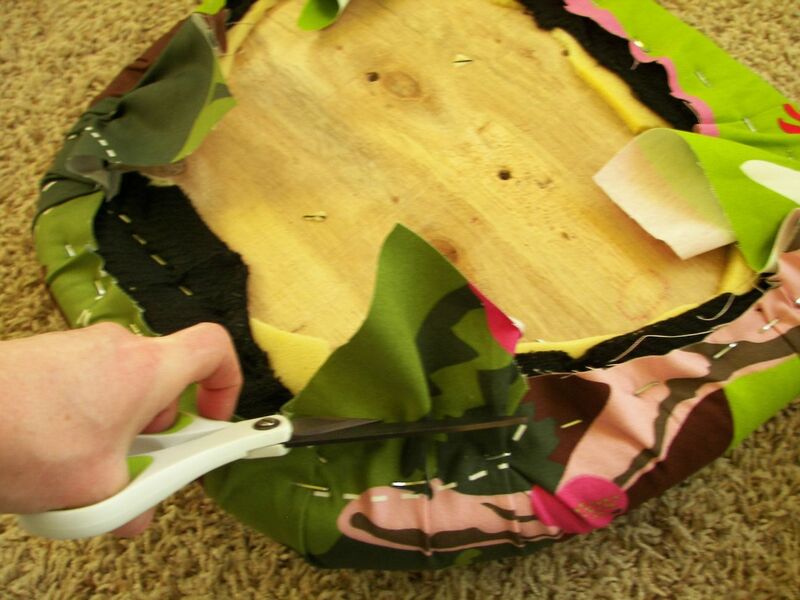 Starting from each corner, use a staple gun to attach the fabric to the cushion. 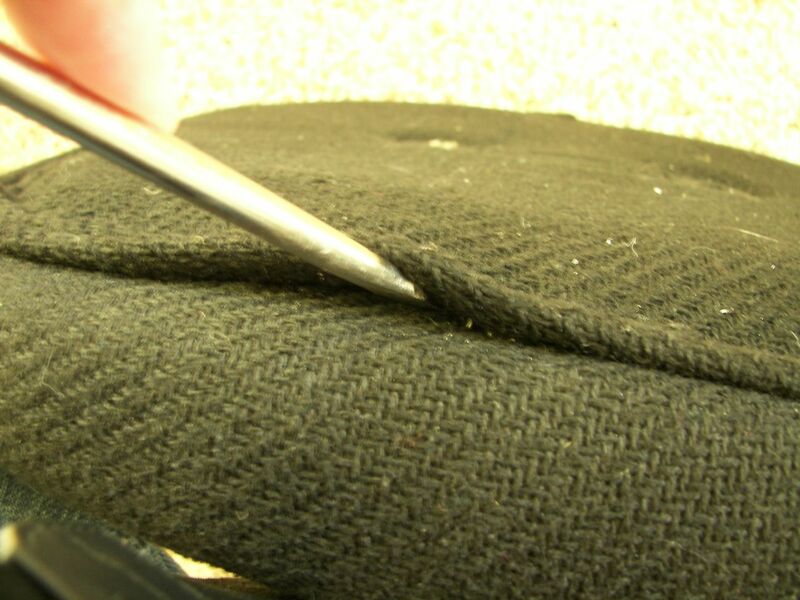 After the initial staples are set – complete the corners as shown above. (uhhmm…excuse my gnarly cuticles-ew!). Cut off the excess, but make sure to leave at least a 1/2 inch around the edge. 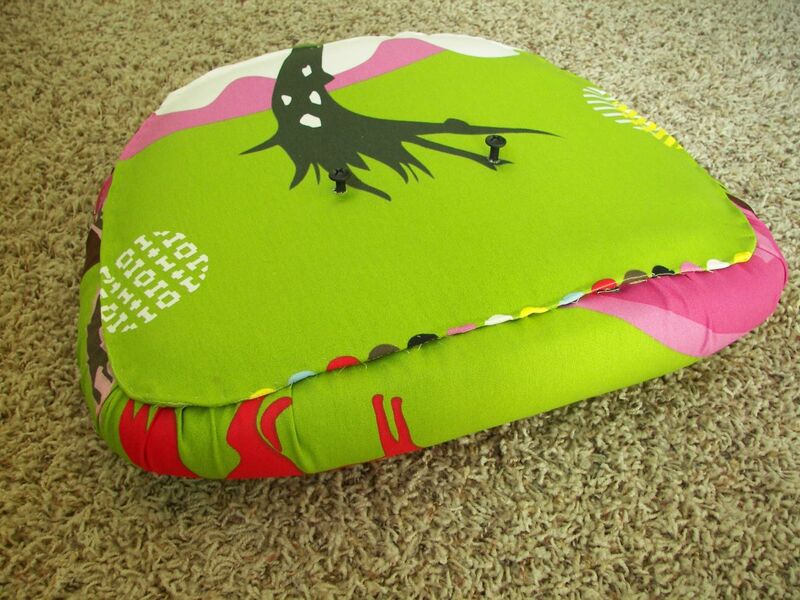 For the bottom cushion, you can use some scraps to cover up the seams and exposed wood. It’s ok to be rough with this since it won’t be seen. (I just wanted to contain the seems so they wouldn’t be sticking out). Also-It’s not shown in the photo, but make sure to cut small slits where the screws will be placed. Next attach the bottom to the base of the chair. Now for the remaining steps of the back cushion. 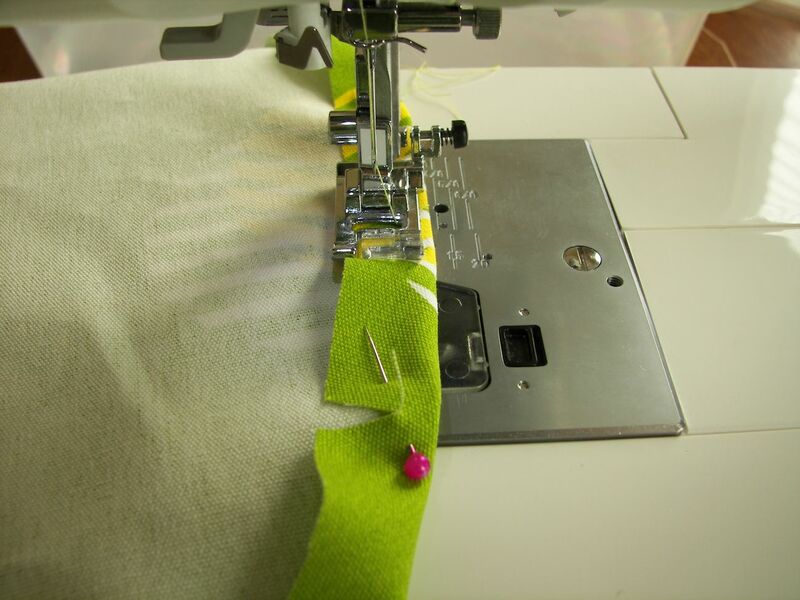 Use the old backing as a template, leaving 1-1/2 inch extra around. Again- make sure to cut small slits for the screws. 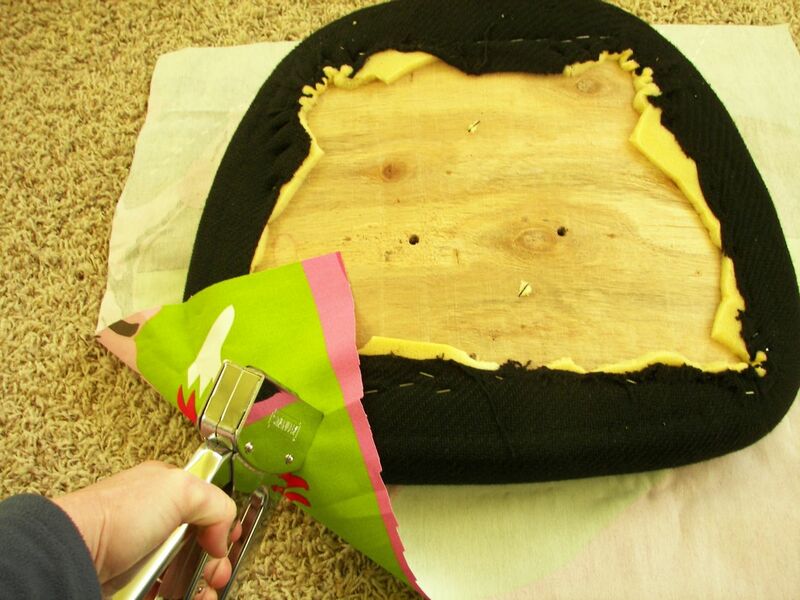 Place the new cover over the back cushion to make sure it will cover all the staples. You may have to adjust things a bit to get it to fit just right. 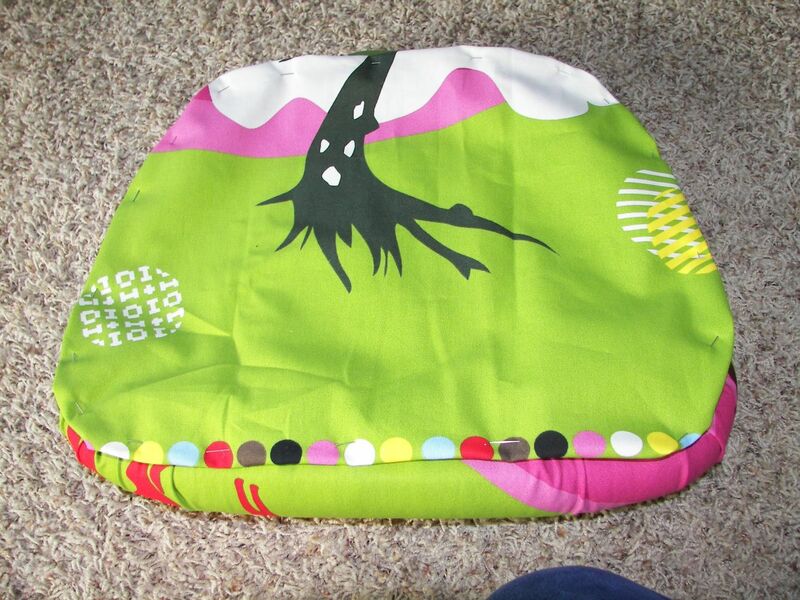 Next- sew the seam of the cover by hand or machine. 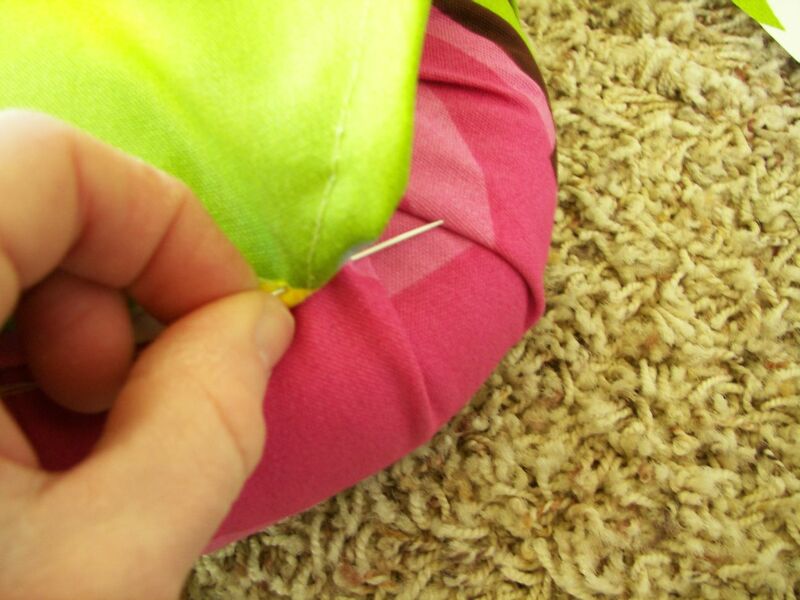 Place the cover on the back of the cushion and place the screws in to keep it in place. 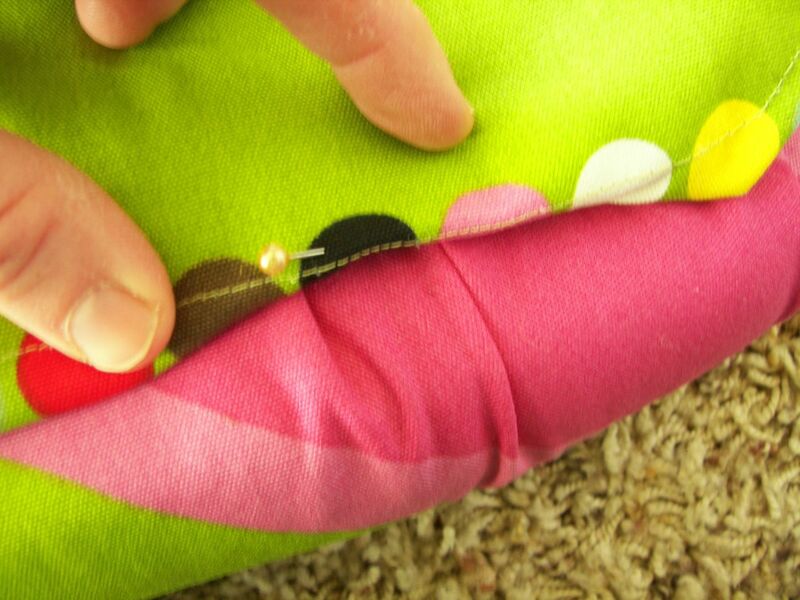 Fold in the edge and pin to cushion. This is the most time consuming part, but worth it. 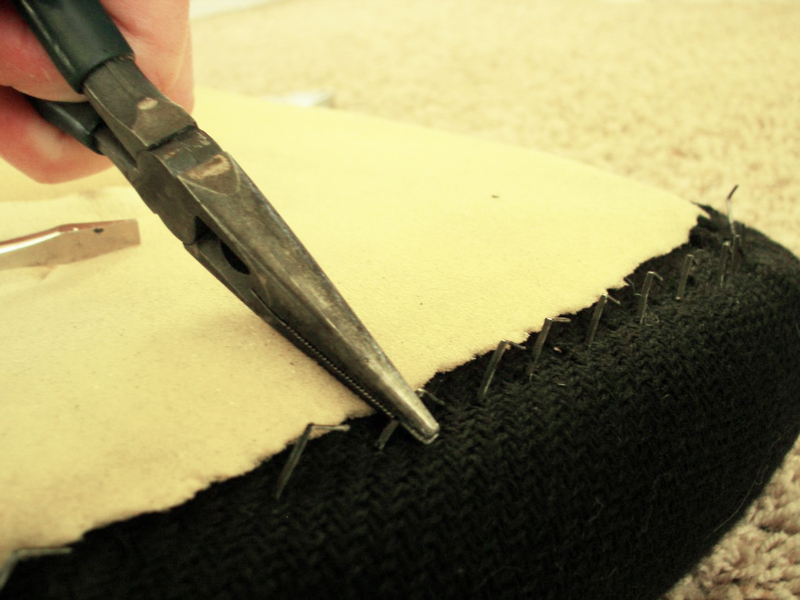 You’ll need to sew the cover to the cushion by hand. 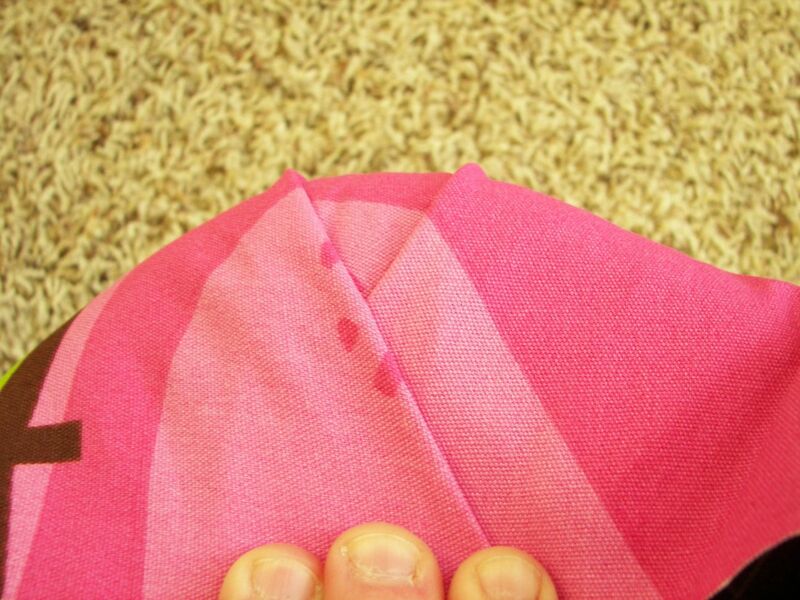 Use a short and strong needle and thread! (I had to switch out my thread because it kept snapping). 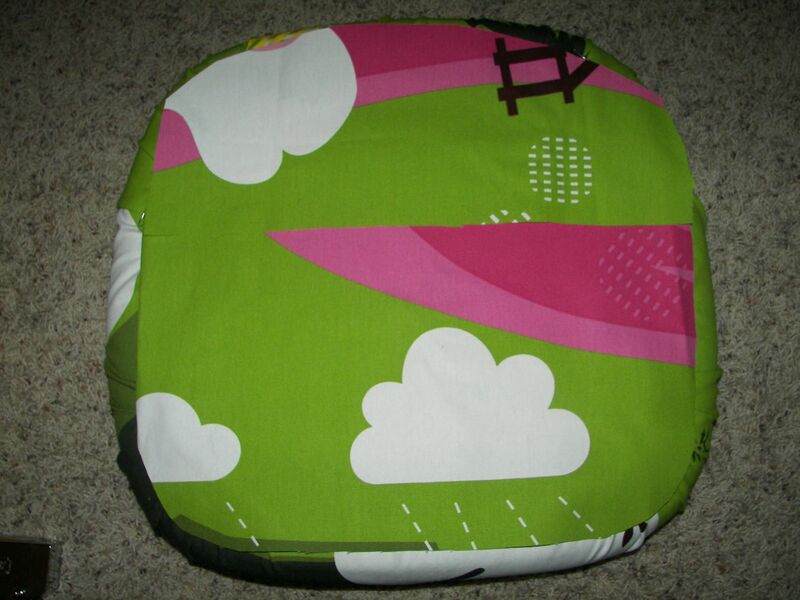 The attached cover to the back of the cushion. Final step! Attach the back to the chair. Voila! (I decided to leave the arm rests off since I never really use them and I think it looks better). 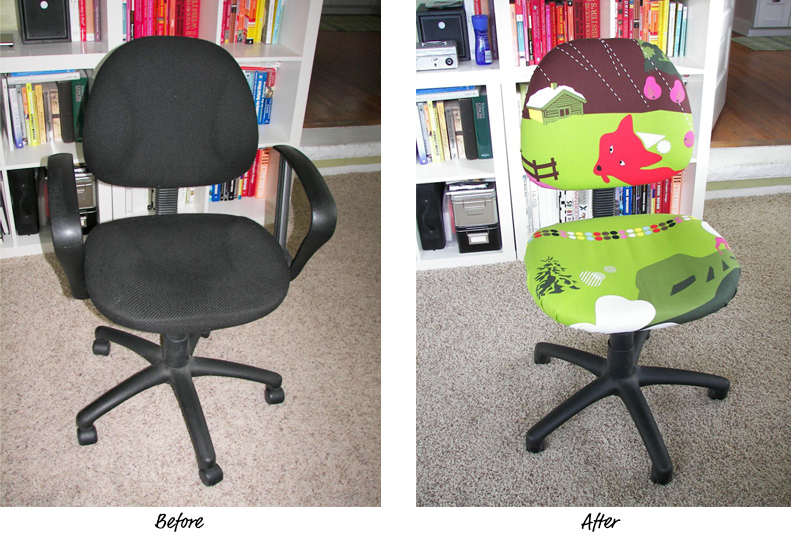 I’ve never even thought about recovering office chairs like that–bravo! Where’d you get the fabric? It’s adorable!